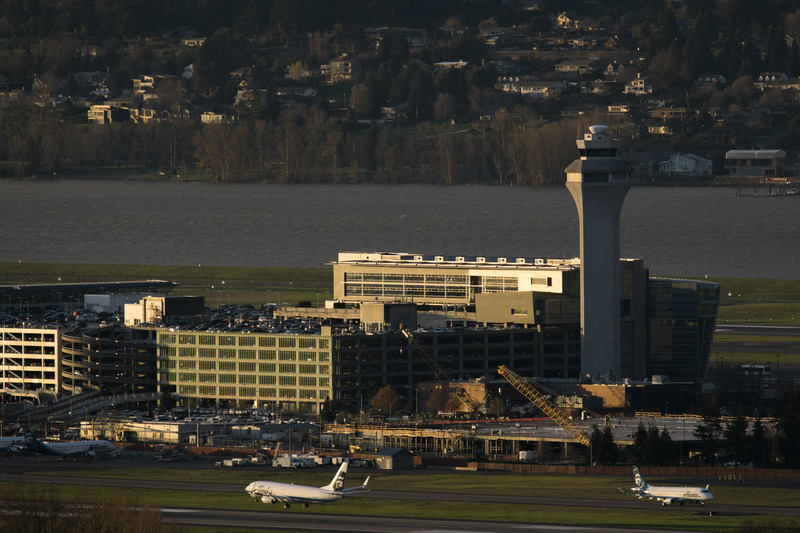 Portland International Airport at the Golden Hour. Not a bad way to see the airport if you have a 600mm lens. One plane is just about to land and the other is mid-taxi to take-off. Thats a big lens! Looks crisp.